This weekend we celebrated our parents’ 25th anniversary in Barcelona. We went with our whole family to Spain and stayed at a lovely Hotel in Barcelona near La Rambla a very, very busy street!! Friday morning we were leaving our little village and drove to Schiphol Airport. It was my very first flight and I was really nervous. I had no idea what to expect and was excited and scared at the same time. 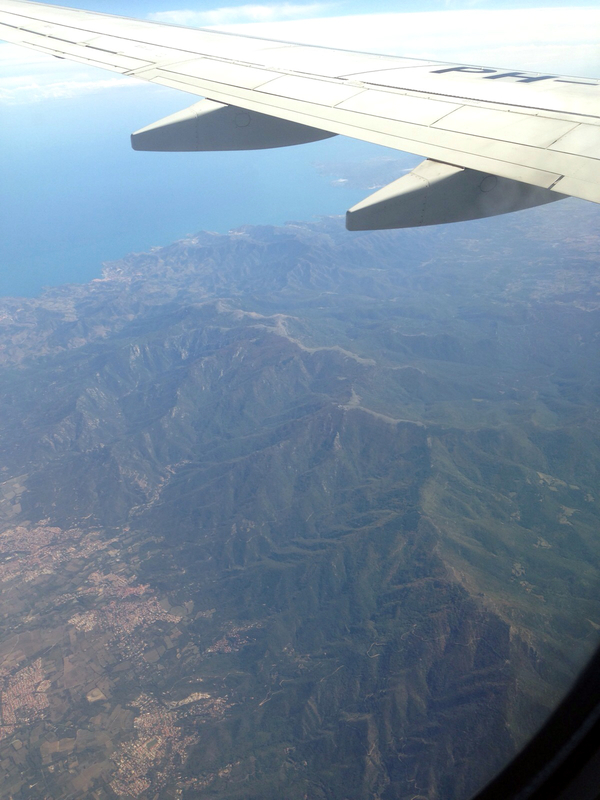 I was sat next to the window and the moment the airplane took off it was so weird. The feeling in my stomach first made me feel sick but soon I was used to it and the whole 2 hours I’ve been watching non-stop out of the window. Watching the clouds from above and the beautiful landscape and mountains and the sea. We arrived in the afternoon and walked to our hotel, put down our luggage and immediately went for a walk on La Rambla. I’ve been in busy streets but this street is nothing what I’ve ever seen. So many people in one street. It’s crazy. And all the time I had to be aware of pickpockets and I had to watch where I was going because of people selling things on the street. Really, if I lived there I would go crazy. But for holiday it is amazing. So many different people. I loved it. We also visited a beautiful church with a garden with goose and huge palm trees and the inside of the church was also amazing with a lot of golden statues and beautiful flowers. In the evening we went to a restaurant called Nuria and I ate a burger. (I know, being in Spain and eating a burger and not tapas) But the burger was delicious. I was so hungry after the flight and walking down the streets that it really was a good choice. Also the dessert was yummy. 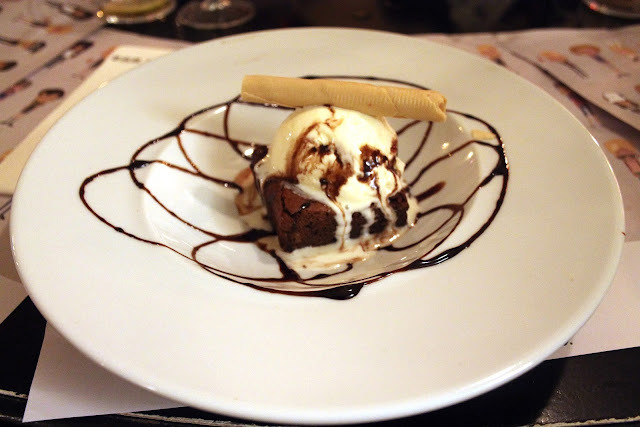 The brownie was still warm and the vanilla ice cream on top melted and eating both at the same time is like an explosion of flavours and warmth and cold. The others (Sander, Jessica, Marijke, Tjerk and Inge) went to a little cocktail bar on the other side of the street of our hotel but I went to bed because I was so tired. This was day one of this amazing weekend. Tomorrow day 2 will be up because I’ve got so much to tell that this cannot fit in 1 post. It's going to be 4 posts about the 4 days.